With India’s increasing influence in world politics, India Pakistan relationship has seen a greater interest from major world powers. It took central stage especially after the Pulwama terrorist attack and India’s befitting response. Now, under international pressure, when Pakistan has shown willingness to curb terrorism in the country by initiating some actions against homegrown terror outfits, one question in many minds is, are they serious or pretending as in the past? For obvious reasons India is in no mood to give any benefit of doubt to Pakistan. Where to break the ice? A quick recap is in order. After the news broke that India has wiped out terrorist camps in Balakot, Pakistan, in an unprecedented display of Indian Air Force capabilities to strike precision targets deep inside enemy territory and successfully completing entire operation within minutes, the world unequivocally acknowledged that India did the right thing. Pakistan is still struggling to prove a series of lies it uttered from the first day on. When Jaish terrorist outfit took the responsibility of the Pulwama attack, it not only invited India’s wrath but gave it another reason to show its clear superiority and influence over world leaders. The attack damaged Pakistan’s image internationally, so much so that no one including China supported them when India blasted off Jaish camps in Pakistan. On the other hand, India, led by the strongest ever Prime Minister since 1947, emerged so strong that Pakistan had no choice but accept India’s demand to return its pilot, Wing Commander Abhinandan, unconditionally. Although Pakistan wants people to believe it worked under no pressure there are plenty of reasons to believe otherwise. No doubt it must have been a humiliating experience but acceptance of the fact would have given them a better reason to stand the ground. Instead, acting in hurry under pressure from its own people, Pakistan lost one F-16 in a failed attempt to strike Indian military posts costing them millions of dollars when the country’s economy is seriously challenged. The rest is history. Most unfortunately, the petty politicians in India are unable to admit that India under Prime Minister Narendra Modi’s leadership has emerged stronger on all fronts. Today the world listens to what India says. What we saw post Pulwama attack and subsequent events leading to China coming under sharp criticism from veto wielding nations at UNSC for protecting Pakistani terrorists is just another proof of it. Imaran Khan’s friendly talks are welcome but the ongoing provocation by Pakistan on the border speaks for itself. Under the circumstance, the peace music played by Pakistan and its sympathizers, both in India and the world, raises valid questions. Just as talking of friendship is not a viable solution at the moment, talking of war is not any solution either. Without looking into the root cause, treating a disease is waste of resources, if not detrimental. This exactly what has happened to India Pakistan relations, and countries like China, Russia and the United States are thriving on it. While peace is certainly possible, there are certain hard realities from the past that both India and Pakistan need to acknowledge. First of all, today’s India, Pakistan and surrounding countries, including Bangladesh, Afghanistan, Myanmar and China are historically part of greater Bharat. Prior to that, when king Yudhisthir and later on Arjuna’s grandson king Parikshit ruled the Earth, the whole world was known as Bharat varsh. They followed one religion called Varnasharama dharma, also known as Sanatana dharma due to its eternal presence. It was only when Kaliyuga began that different religious practices emerged, and due to lack of background information people started dividing communities and nations based on faiths and philosophies. A careful analysis makes it clear that both the worldwars were fought not because of land but because of conflict of faiths, or religions. But if that is the case, does it mean religions are responsible for the current unrest in the world? While bloody wars of the past did make some people think that religion is the cause of war, their ideas of secularism and atheism invited further chaos in the world. This was inevitable as without religious practice human beings are no better than animals. Religions cannot be the cause of unrest; they are there to enlighten and maintain peace in the world. It is the misunderstanding or misrepresentation of religions that causes unrest, and criminal minded political leaders are fueling such unrest. When Islamic kings invaded what they called Hindusthan, they ruthlessly tortured and killed millions of Sanatana dharmis, who were, by nature, peace loving, accommodating, tolerant and forgiving. The main reason behind the fall of Hindusthan kings was not lack of valor; it was their gradual deviation from Sanatana dharma principles. Their infighting allowed the invaders to rein in. Millions of Hindus suffered terribly at the hands of evil minded Islamic rulers as ethnic cleansing continued in different forms for almost two centuries. Naturally, this brutal atrocity and injustice left a deep wound on their mindset and a sense of hatred towards Muslims arose. People who went through it and witnessed it were unwilling to forgive. Taking advantage of the situation the British divided Bharat into what they named India and Pakistan before leaving the country and ensured the animosity continued even after their departure. Indian National Congress party took the reins after India’s independence but it followed British policies. No concrete attempts were made to address the core issues. Political leaders enjoyed luxury and fame while defense forces suffered at the hands of enemies for decades due to weak or wicked government policies. In the name of finding diplomatic solution to India Pakistan relations, the government chose peace talks at the cost of Indian soldiers and civilians. This fueled the sense of revenge among those who knew what was going on. It would be too naive to think that the Congress government didn’t know how India was becoming weaker by every year. It was only when the regime changed in 2014 that India conveyed to Pakistan in no uncertain term that terror and talks cannot go together. 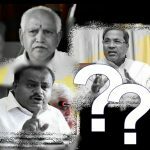 While continuing to initiate and support peace talks the new regime made clear to the world what India was heading for. With a well-thought foreign policy and enhanced military capabilities, Prime Minister Modi and his able team successfully brought India to the forefront on the world map. 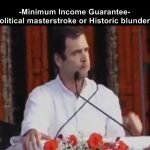 It’s a matter of shame, however, that the opposition parties in India, in order to save their own skin, have chosen to ignore India’s success story as it directly connects to Prime Minister Modi’s success. Coming to the point, not lamenting over the perpetually vicious and beastly guileful propaganda machine run by all stakeholders which has deceitfully turned Kashmir, the land which could have been a heaven on the Earth, into a virtual hell, I am looking into a new dimension where rising friendship between India and Pakistan is achievable. This may sound naive or impossible under the present scenario but it is possible over a period of time. I am not talking about opportunists and traitors who befriend with enemies for personal gain. There is no dearth of such people in India today. What is being referred to here is an extremely cautious yet broad-minded and logical approach to the unpleasant reality. 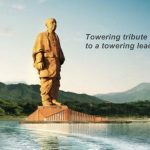 As such, the focus here is not on supporting or benefiting a particular country; it is rather on exposing the hypocrisy of the so-called developed nations, which have deceitfully looted the wealth of these two nations since decades by systematically and wickedly fanning hatred for each other. 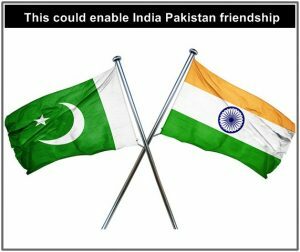 Rising friendship between India and Pakistan will frustrate all others who have prospered by munching on this craftily cultivated animosity between the two nations, even before they took unpleasant geographical shapes. From that perspective, there is no reason to hate any particular country. Admittedly, there is something called love for one’s homeland but that is no enough reason to hate others. Unfortunately, evil ambitions of a handful of people keeps the fire raging. While politicians are certainly to blame for their divisive and appeasement politics, the citizens of both the nations also need to become more alert and more responsible. It is they who choose and support the leaders. After all, both India and Pakistan are democratic countries and even if elections are not always fair, there are good chances to get a good government if the voters are alert and intelligent. Pakistan has a great potential to progress. Regrettably, they have been made to believe that their progress can come only at the cost of India. This makes them look for every reason to harm India. The primary cause for such behavior is not hatred; it is envy. Pakistan, since its formation, is unable to see India progress. It’s a sorry state of affairs. On the other hand, Indian leaders have failed to convince Pakistan that India is not against Pakistan’s progress. The result is, Pakistan is left with a burning desire to pull India down in whatever possible way, and countries like China and major western powers are benefiting from this deep-rooted envy-oriented relationship. If Pakistan can just accept the reality that it need not and cannot compete India and if India can play a little more matured role and not humiliate Pakistan at every possible opportunity, the future of their relationship seems bright. Despite ongoing odds, India, or Bharat, has its roots in Vedic civilization which allows it to have a broad heart. Once the lingering anger is subsided and wounds from the past are healed, Bharat has the capacity and willingness to take Pakistan along on its way to success. The concept of sabka sath sabma vikas makes sense in India Pakistan case too, and it is perhaps the only solution today for strengthening their relationship. Pakistan does not need China. It is China who needs Pakistan to keep India under pressure. There is no reason for Pakistan to fear Indian invasion. History proves that India does not believe in invasion. Neither India nor Pakistan will lose if Kashmir becomes a non-issue. 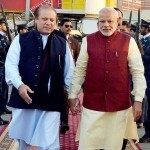 The losers are those who want to see India Pakistan relations burning. Kashmir has been made a scapegoat for keeping the animosity alive. Such lowly attempts need to be jointly thwarted by India and Pakistan if they want peace. It all boils down to faith between the two countries. Bharat, being a stronger nation needs to take the lead and help Pakistan identify its real enemies. 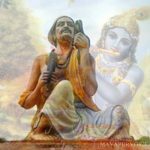 Srimad Bhagavatam, the timeless wisdom of Vedic Bharat says: andhā yathāndhair upanīyamānās te ’pīśa-tantryām uru-dāmni baddhāḥ, meaning, as blind men guided by another blind man miss the right path and fall into a ditch, materially attached men led by another materially attached man are bound by the ropes of fruitive labor, which are made of very strong cords, and they continue again and again in materialistic life, suffering the threefold miseries. (S.B. 7.5.31). This is the situation of not only India Pakistan but of the world today. Hindus and Muslims have flourished together in India for decades and will continue to do so if politicians behave like statesmen. Despite India’s flawed judicial system and vulnerable sociopolitical climate, Prime Minister Narendra Modi has both political will and moral strength to keep Indian affairs under control. Imran Khan also seems to have good intentions in this regard but his ability to control homegrown terrorism is not yet proven. This is one reason India is compelled to be extra cautious in trusting his claims. People, at the least, need to understand their own interest. Pakistan may be thinking that keeping Kashmir on fire will benefit them but they need to realize that China is using Pakistan to do the same. For argument sake, even if Kashmir is given to either India or to Pakistan, there is a little chance India Pakistan will become peaceful. This is because, as mentioned earlier, the root cause of their animosity lies somewhere else. It is only a mature, cautious and broad-minded approach prescribed above which could potentially alter the equation. May the almighty Lord enlighten the leaders with good intelligence so they can jointly work in that direction.